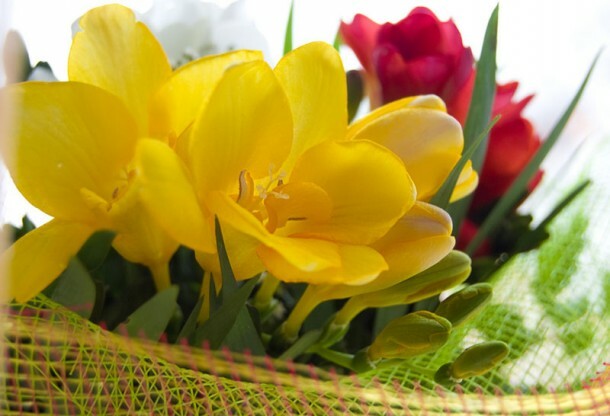 Our next flower for our series of posts on Wedding Flowers and Symbolism is the Freesia. Native to South Africa, Freesias are lovely spring flowering bulbs, highly fragrant that make lovely bouquets or are great mixed with other flowers in bouquets. Freesias have delicate blooms and have a lovely subtle fragrance. They can be used effectively in bouquets and table decorations and are available in a variety of colors including lilac, pink, white, orange and red. They work particularly well in vintage wedding themes and also add great texture to mixed bouquets. Colours: Freesias come in a great variety of colors including white, yellow, orange, red, pink, lavender and purple. Symbolism and Meaning: Freesias symbolise Innocence. 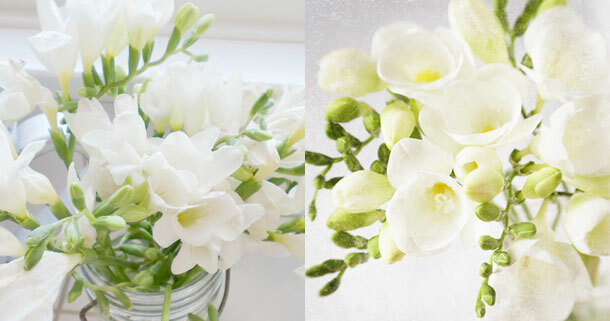 Best suited for: Freesias work well in bouquets and flower arrangements. Scent: Freesias have a lovely, floral scent. In Season: Spring to summer. Price Range: Reasonably inexpensive during season.